Beyond your ordinary web design agency. 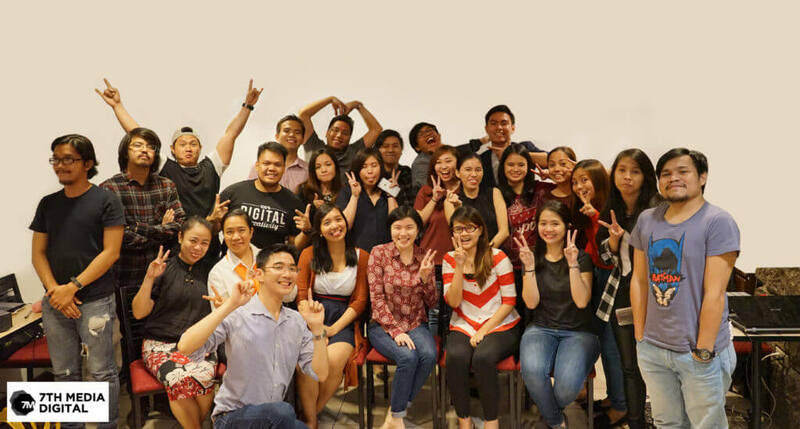 7th Media Digital Studios is a premier full-service digital development and production company in the Philippines. Located in the heart of Makati Central Business District in Manila, we see the world of business changing on a daily basis, and we’ve got our fingers on the global pulse of the newest and best technologies, so we can bring them to you! We do diverse projects beyond your web design studio. Whether you need web design, web development, mobile applications, web apps, facebook apps, graphic design, corporate branding, explainer videos, e-learning, digital marketing or offshore staff outsourcing, we’ve got you covered! Our creative flair in designs and innovative IT solutions have led us to work with global Fortune 500 companies, top advertising agencies and boutique digital agencies in New York, Los Angeles, London, Sydney, Singapore, and the Philippines. Having been in the business for over 10 years, we have a strong track record of delivering high quality, innovative and best-in-class digital solutions to our clients. Our customers as far back as 5 to 7 years ago remain to be our repeat clients to this date. Our in-house team of multimedia artists, programmers and project managers are accomplished experts with strong experience working with diverse clients. So you need not worry that your project will fall under the wrong team because we ensure that you get what’s right for you. If you’re ready to take your business to the next level, we’d love to work with you! Got a digital project? Contact us and we will be more than happy to help!